In my interview with psychologist Lilian Shin, she opened my eyes to barriers like how American's Euro-centric patient model does not take into account Asian cultural norms. Thankfully, there are practical ways to bridge this communication gap. In my last post, Asian American Mental Health: Confusing Doing Well with Feeling Well, I described my life with bipolar disorder, lack of family support, a friend's suicide, and my diagnosis at 18 years old. Also, there were a bunch of Rocky Balboa and boxing metaphors. (me): What is your professional title? LS: I am a Social/Personality psychologist who studies subjective wellbeing in interdependent cultures, such as East Asian cultures. I have an M.A. in Psychology and am currently working on my Ph.D. I am particularly interested in how emotional well-being looks differently for Asian Americans and how treatment and interventions should be tailored accordingly. JG: How common is mental illness among Asian Americans? LS: Mental illness prevalence rates are the same for Asian Americans as those of the general U.S. population (approximately 26 percent of persons have mental illness within any given 12-month span of time). Importantly, however, Asian Americans use psychological services at lower rates than European Americans. JG: What cultural factors make it harder for Asians to seek help? LS: Stigma and shame are deterrents to the utilization to mental health services. There is a perception, especially from the older generations, that families have to protect their pride and honor, and that needing help is shameful. These ideas are rooted in ancient historical traditions such as Confucianism, Buddhism, and Taoism that emphasize harmony and interdependence more so than other cultures. Because of this, Asians may view family members as extensions of themselves. JG: What do you mean by "interdependent cultures"? How should cultural differences influence treatment goals? LS: Rather than pursuing happiness explicitly by asserting one's own rights like European Americans might, Asians and Asian Americans see themselves as connected to a larger social group, greatly valuing their social roles (like being a good daughter), and emphasizing harmony. Accordingly, treatment goals for Asian Americans who have psychiatric illnesses should take into consideration the social group of the patient -- whether that is their family, spouse, or children. For example, a goal for an Asian American patient might be: how integrated/harmonious does the patient feel with his/her social group? Practitioners should inquire about Asian American patients' somatic symptoms, like headaches, insomnia, or indigestion, rather than asking directly about mood or happiness. It is uncomfortable for a lot of Asian Americans who value harmony with others to admit that they are not feeling well emotionally. Patients can increase the chances of family members understanding by framing it in somatic and biological terms. JG: What are some things people with psychiatric illnesses can do to increase chances of their family understanding? LS: Asian Americans who are second generation may have acculturated to the idea that mental illness is treatable and nothing to be ashamed of, but first-generation family members may have a different framework. 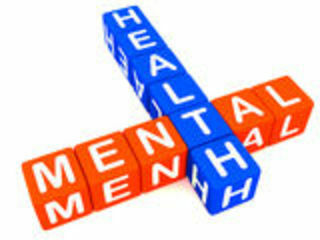 Educating them about mental illness may be helpful, especially if it is done by medical professionals whose social roles they respect. JG: How do you think the "Model Minority Myth" affects Asian Americans' mental health? LS: Great question! The model minority myth is the idea that Asian Americans are the "best"-off minority in term of socioeconomic status, education, work ethic, low crime rates, etc. This concept sometimes spills over into the realm of mental health, where the public believes that Asians don't have any problems. Because there is this pressure that they are the "model minority," some Asian Americans might believe that they have to hide their problems and not appear weak, and that they have to perform... sometimes at the expense of their mental health. JG: How do our current laws help or hinder understanding? LS: One issue with the current health care system in the U.S. is that it doesn't allow for families to be as involved as Asian families might want. It is common for doctors and other mental health professionals to view parents, spouses, or children of patients as intruding or as a nuisance when, in fact, the patient wants their family to be intimately involved in doctor's visits and in making medical decisions. I've read reports in the news and heard anecdotally of Asian parents who were never informed of their children's ongoing mental illness due to HIPPA laws, and, in some rare instances, up until the point where the children have died by suicide. That is not to say that HIPPA laws don't have utility in other situations where privacy is critical. However, the current laws make it extremely difficult for families to be more involved, even when Asian American patients have explicitly asked doctors for their family's involvement. All mental health professionals need to be informed about cultural norms for Asian Americans and other minority groups, and how they might look different from European American norms. We are a country built on diversity and acceptance, and ensuring that patients of all cultural backgrounds receive the best care will necessarily entail more diverse models of health care practice. Written by health blogger and speaker Jessica Gimeno. You can read the extended version of this interview on Fashionably ill. You can follow Jessica on Twitter or watch her TEDx Talk, "How to Get Stuff Done When You Are Depressed," here.